The cubicle farm is a thing of the past. 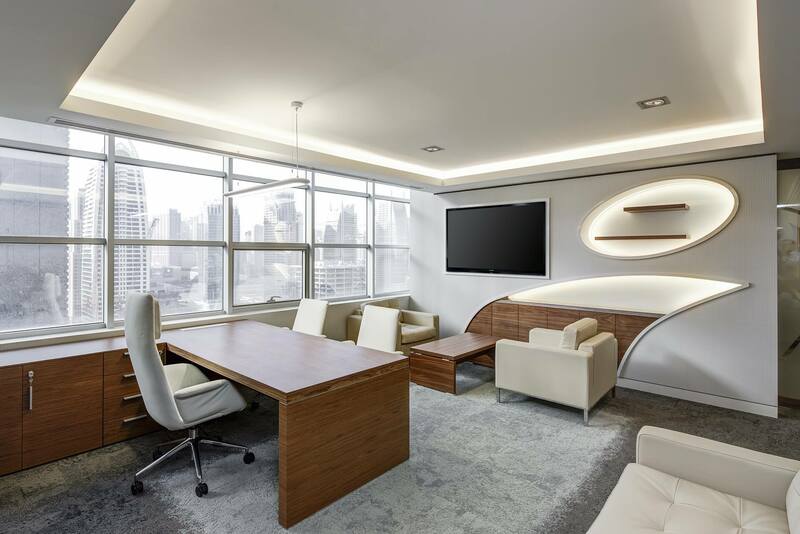 With more and more organizations trying to stimulate creativity among their employees, great office design is fast becoming a necessity. After all, it’s hard to be creative in a drab space. Simply adding perks or a game table won’t cut it. Instead of the usual fluorescent tube lamps illuminating your entire floor, you can try adding custom-made fittings that lend more character to each space. For example, you can replace your harsh white bulbs with ones that emit warm, natural light. Or you can install a hand-blown glass lamp that serve as both light source and accent piece in common areas. Offices don’t always have to be a drab shade of gray or that boring variant of blue. You can try using a vibrant color to transform an otherwise generic panel into an accent wall. Or get great art prints, have them framed, and hang them up to dress up blank spaces. You can even get furniture in bright, funky shades to break the monotony of an all-white design. Have the right ratio of private to open spaces. Open-plan offices were originally conceptualized as the anti-thesis of the cubicle farm. However, employees eventually realized that this wasn’t the best setup to get real work done. After all, instead of fostering a collaborative atmosphere, it encouraged unnecessary chit-chat; getting interrupted by an officemate became the norm. Hence, to balance things out, you should allot enough private spaces for your employees who need to finish work in peace and quiet. On the flip side, they should also have enough common areas for team meetings or for relaxing during their break times. To create spaces like this in a pinch, you can have dividers installed. That way, your employees simply need to fold out a divider to create a quiet space. Make use of creative storage solutions. Instead of stashing away files in boring brown boxes, why don’t you try dressing up your office storage? Use plastic bins in different colors or use woven baskets. Or get quirky desk organizers for your office supplies. You can even have shelving in different designs or modular configurations that you can change as needed. Ask employees for their input and let them add their own personal touches. Your employees are the ones who will use the office the most. Hence, it’s just logical to ask if they have comments or suggestions about changes in the layout. You can even give them a space to express their thoughts. Why not create a freedom wall using chalkboard paint or dry erase whiteboard sheeting? That way, you’ll be sure that your new office design will delight your employees. These five suggestions are just to get you started on your workspace redesign. Check out our other office design guides for more ideas! Together with every little thing which seems to be developing throughout this subject material, a significant percentage of perspectives are rather exciting. Even so, I am sorry, but I can not subscribe to your entire plan, all be it exhilarating none the less. It appears to everybody that your commentary are not totally validated and in reality you are your self not completely convinced of the argument. In any case I did enjoy reading it.